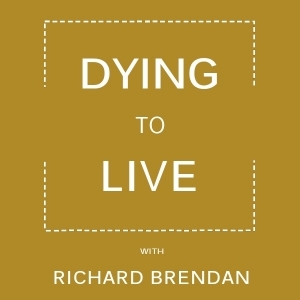 Click here to learn more about the Dying to Live podcast. Richard Brendan's guest is bestselling author and internationally known grief expert David Kessler. David shares insights from his book, "Visions, Trips and Crowded Rooms: Who and What You See Before You Die." Andrew Harvey, renowned religious scholar, writer, and teacher, shares from his new book, "Turn Me To Gold: 108 Poems of Kabir." Listen to Richard Brendan's conversation with Roshi Joan Halifax, about her new book, "Standing On The Edge: Finding Freedom Where Fear and Courage Meet." On this week's episode Katy Butler will be sharing with Richard Brendan insights from her new book, The Art of Dying Well: A Practical Guide to a Good End of Life. Richard Brendan’s interview with Christina Rasmussen, internationally recognized grief educator and author of 'Where Did You Go?'." Richard Brendan’s special guest is Mirabai Bush, coauthor of the book, "Walking Each Other Home: Conversations on Loving and Dying." Miranda Macpherson is a spiritual teacher, founder of OneSpirit Interfaith Foundation, and author of a new book, The Way of Grace. Robert Moss returns to the podcast to discuss his newest book, Mysterious Realities: A Dream Traveler's Tales from the Imaginal Realm. Richard interviews author, speaker, and intercultural consultant Anita Moorjani, the NYT bestselling author of several books including Dying to Be Me. Frank Ostaseski is the founder of the Metta Institute, a Buddhist teacher, an international lecturer, and a leading voice in contemplative end-of-life care. Listen to Richard's conversation with Annie Kagan, chiropractor, songwriter, and author of The Afterlife of Billy Fingers. Diana Ensign, JD, shares candid accounts of grief taken from her latest book, Heart Guide: True Stories of Grief and Healing.